Many of Missouri’s early political leaders were not native-born Missourians. Our second governor was no different. Frederick Bates was born in Virginia in 1777. He served in the military and would locate his home in Michigan by the dawning days of the 19th century. 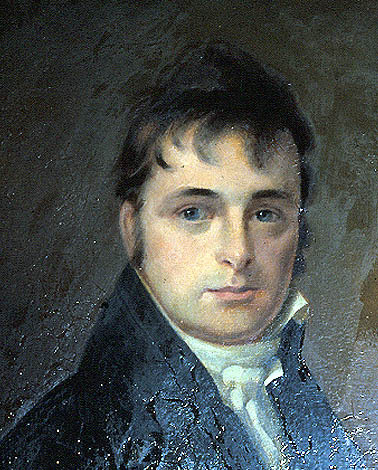 In 1805 he became the postmaster of Detroit. From there, he was appointed as the Justice of the Territorial Supreme Court for Michigan Territory. It was during an official visit to Washington that Bates was appointed as the Territorial Secretary for the Louisiana Territory by President Thomas Jeffferson. This position brought Bates to St. Louis and established his place in Missouri. ​Bates was responsible for the settling of land grant issues in the region. Many of these were problems, as the U.S. government chose not to recognize many of the land grants made by the Spanish government in the area. Bates would work in this capacity until 1812. Jefferson wanted Meriwether Lewis as the governor of the territory and that put Frederick Bates basically in the unemployment line. While in St. Louis, Frederick Bates would also serve as the Secretary for the new Missouri Territory. When Lewis died and William Clark was be delayed in establishing himself as the Governor of the territory, Bates would serve as the acting governor until Clark arrived. It would not be until the election of 1824 that Bates would be elected to the State Governor role. But less than a year into the office, Frederick Bates would die.During Bates’ time as a governor, he was instrumental in the development of a road plan from St. Louis to Santa Fe and lands belonging to Indians was handed over to the state.